When you set up a saltwater system, within mere months you will encounter nuisance algae. What is that? It's stuff that grows and annoys you to no end. While a few people may like seeing green hair algae swaying back and forth displaying movement, the majority of hobbyists abhor it. The main reason we don't want algae in our aquariums is because it grows so quickly and will choke out our precious corals. Assuming you don't want an algae tank, this article will feature why a clean up crew is critical to success. If your tank has been running for a few months, it needs a clean up crew by now. The walls of your aquarium, made of glass or acrylic, need to be kept clean to enjoy the viewing experience. As green film algae accrues, it becomes harder to see the life within. 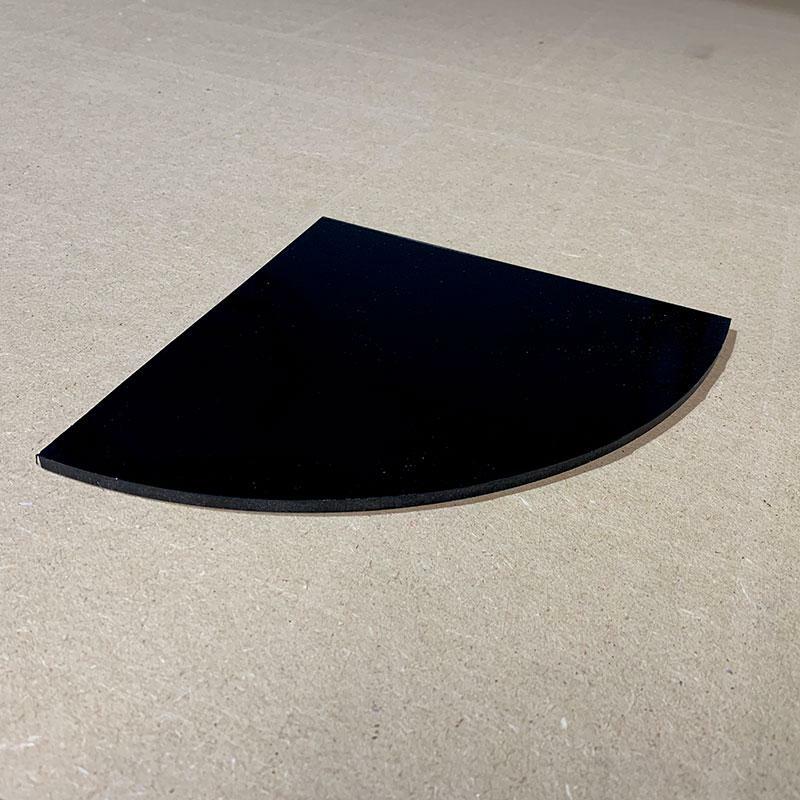 A cleaning magnet can be used to swipe or erase this film off the glass. There may be times of year where you have to keep cleaning the glass daily or even twice a day, but usually this task is only required every two to three days. The more you feed and the longer you run the lights per day, the more abundantly this algae will grow. Snails can help keep the glass cleaner, but they won't get it all. They work tirelessly, especially at night when the tank is dark. Astreas, Trochus and Cowries are good grazers, as are Ceriths, Strombus, Collonistas and Stomatella snails. 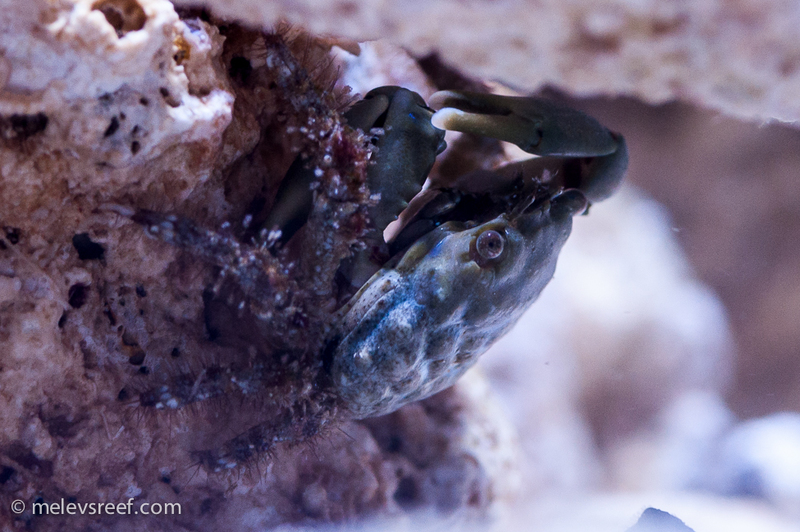 One algae called Valonia (green bubble algae) is usually removed by Emerald crabs. Some fish (Naso tangs, for example) love valonia. If your tank is smaller though, stick with Emerald crabs. Note the flattened tips of the claws that are used to rip algae off rock. I've observed Emerald crabs plucking off caulerpa in one of my past aquariums, for which I was very grateful. 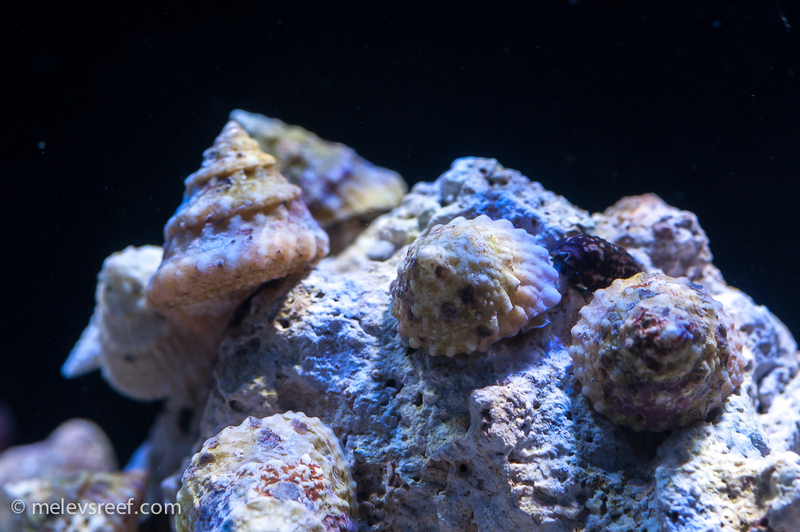 For the sandy substrate to stay clean, three different creatures will be useful: nassarius snails, small conchs, and certain cucumbers. Specifically, Fighting Conchs and Tigertail cucumbers are what I use. One fighting conch per two square feet of sand is usually best. They will sift through the sand looking for things to eat, keeping the surface stirred. The cucumber mops the sand, injesting it and pooping out clean sand from its opposing end. 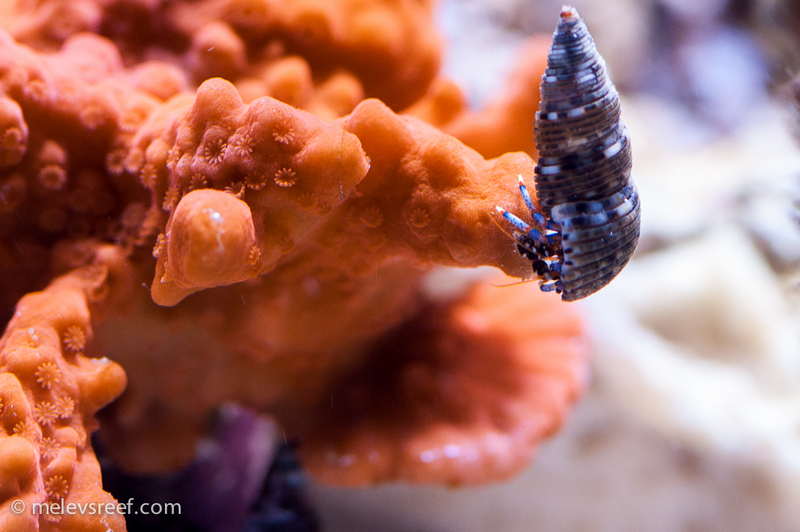 Nassarius snails tend to hide in the substrate, emerging only when they smell food in the water. 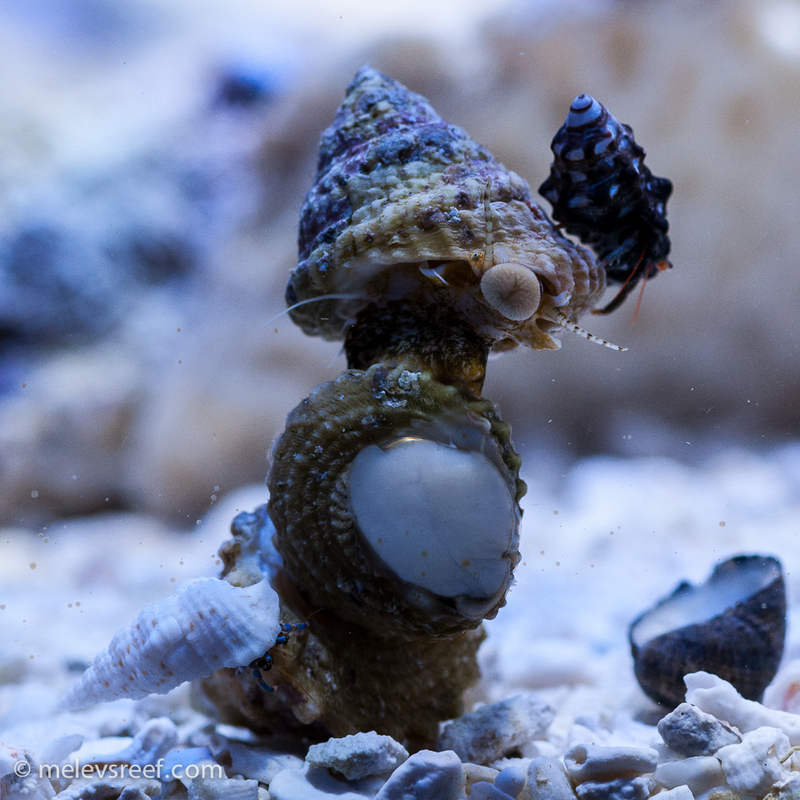 As hermit crabs travel across the sand, they too stir the surface and this helps keep the sand clean too. A couple of other additions would be serpent starfish and perhaps a Tuxedo or Diadema urchin. Serpent starfish tend to hide in the rockwork, but constantly hunt for morsels of food while remaining reef safe to your fish population. Brittle starfish may eat fish, so make sure you are getting a serpent starfish. Tuxedo urchins travel throughout the system, picking up anything to adorn themselves as they seek out food, while Diadema (longspine) urchins are known to eat hair algae. Also, you may get poked when working in your tank if you have a Diadema, so try to watch out for it since it will sting. Urchins won't damage glass aquariums nor the silicone, but they may leave teeth marks on acrylic tanks. Sand Sifting Starfish are usually not recommended in a reef tank because they will devour all the life out of the sandbed, which will actually cause the sand to grow algae. Avoid that starfish unless you have a fish-only or predator tank. 20 Astrea snails - these are workers that you can rely upon. If they fall onto the sand, you will have to flip them over. A small downside, perhaps. 12 Trochus snails - these snails are smarter than Astreas and can right themselves on their own. 15 Cerith snails - these clean the glass and often will focus on the area right above the sandbed, devouring that green stuff hard to reach. 15 Red leg hermits - good workers, and less aggressive toward snails. 5 Scarlet hermits - very active, and gorgeous to look at. They cost more, so I only get a few. 10 Blue leg hermits - very active, can be quite aggressive. If you can buy tiny ones, that's usually best. 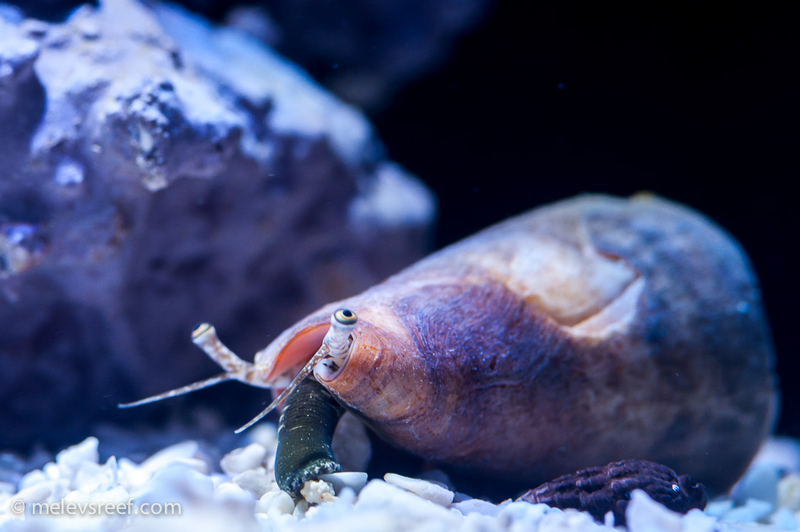 15 Nassarius snails - these living in the sandbed and move about like tiny submarines emerging when food is added to the tank. 3 Emerald crabs - works on macro algae like bubble algae and some species of caulerpa. 2 Fighing Conchs - stirs the sandbed, keeping it clean. 1 Tigertail cucumber - works from the rockwork reaching out to clean the sand in its area. They travel, and reproduce. I have 12 in my 400g reef. 1 Serpent starfish - good detritus cleaner, works its way through the rockwork looking for anything that needs to be consumed. 1 Tuxedo urchin - nice looking, eats algae on rock or the walls of your aquarium. This mixture of critters makes up a good clean up crew. Each one has its own area of concern but together they are an important part of your ecosystem. In nature, tons of little creatures clean up our oceans' reefs, coming out of the rockwork after dark, picking algae out of corals, off clams, and off the rock structure. Running a reef tank requires the same type of busy creatures to help keep your system algae-free. If your tank is overrun with algae now, you will have to manually remove the bulk of the algae by hand, and add a clean up crew to remove what remains. Think of your snails and hermits as cows, one speaker suggested in a presentation I attended many years ago. Cows are known to graze on fields all day long, keeping it mowed down. "The more cows you have, the better" was his advice. You want to have enough "cows" that algae never outpaces their hungry mouths. Of course too many cows could lead to starvation and die off, which would elevate phosphate levels in the aquarium. My one critter per gallon rule has worked great for all my tanks, and you rarely see any sort of algae issue in any of my systems. 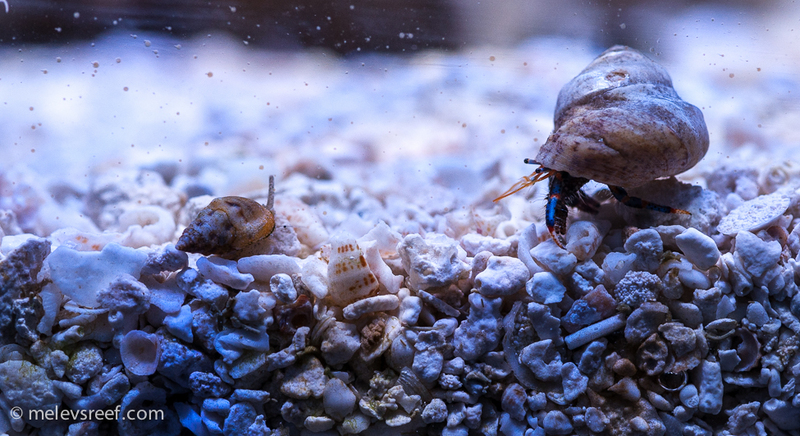 Hermits can be opportunistic and attack other snails (or hermits) to get their shells, so some losses are completely natural. If you have fish that eat snails, this too can be problematic to maintining a decent snail population. Some wrasses will hunt for unwary snails, and pow! that snail is dinner. 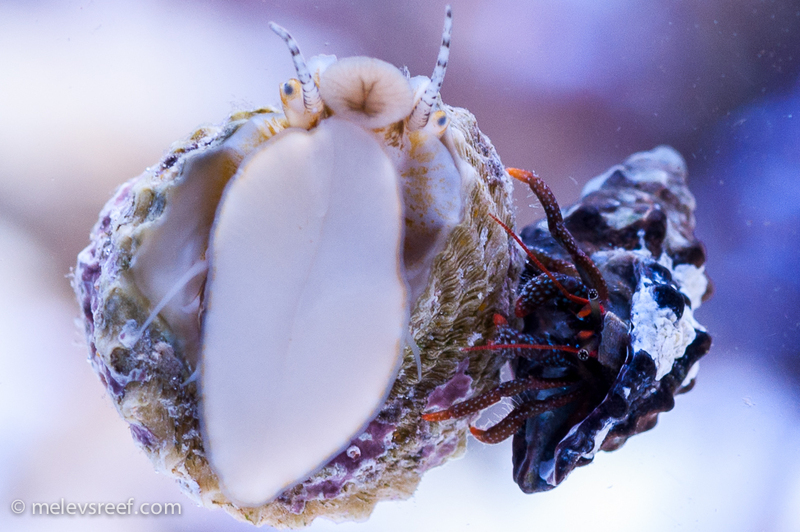 From time to time, you may see the need to remove empty shells from the aquarium. 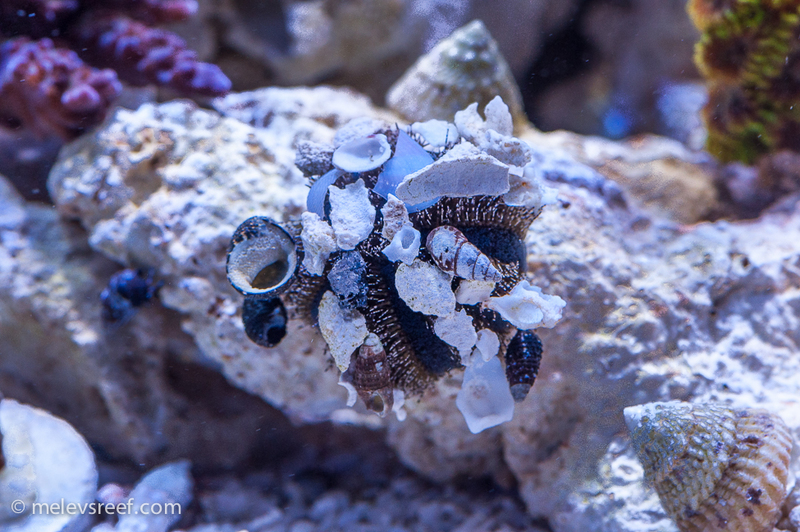 Replenishing the clean up crew should be part of your hobby, perhaps once or twice a year depending on how your reef holds up. Usually when people ask for help with algae issues, they are quick to mention they've been meaning to buy more snails. When asked what do they have at the moment, they usually answer with a number that is less than 10. Part of a healthy reef is a healthy clean up crew, and replacing what has been lost over time is a necessity for longterm success. Finally, be reasonable with stocking critters. If your tank is barren, overloading it with snails and hermits could result in more losses. Understocking the clean up crew yields a mess on your hands because you didn't get enough. Ascertain your situation and assemble the proper sized army of cows to keep everything looking nice so you can enjoy your reef. And remember to watch your little creatures, as they can be very entertaining as well. Look at these guys! Posted 19 min 36 sec ago. Posted 2 hours 28 min ago.